Black bass, crappie, catfish and wipers are perpetually hungry as they pile on the ounces going into winter. Places crowded with casters Labor Day weekend can be nearly desolate of anglers. By now thousands of summer fishermen are more interested in hunting or watching football. That makes fishing much more peaceful and the fish more gullible than in the spring and summer. Small waters, like ponds and county or community lakes, can offer the best fall angling and can be fished from shore. 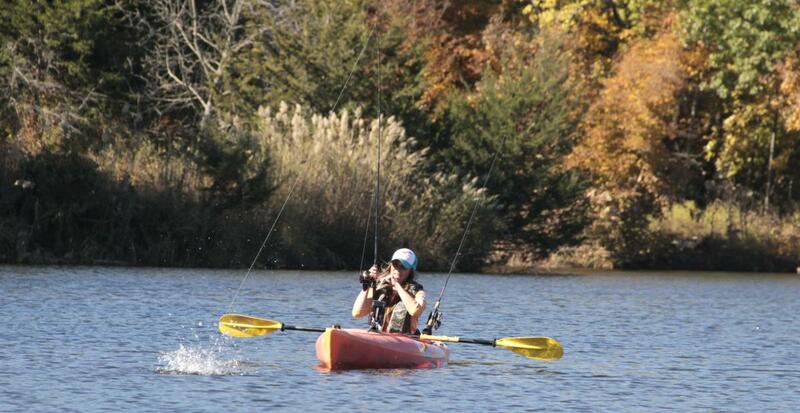 Kansas offers anglers almost countless public fishing opportunities perfect for fall angling. Check the nearest waters in the state’s Community Fisheries Assistance Program. It leases city, community and county waters and opens them to all anglers. Fishing warm, sun-drenched water is a tactic that’s productive and easy to follow. No need to get up early. The best action is often mid-afternoon. Casting simple to use lures, like Mepps spinners, beetle-spins and shallow crankbaits can work well. 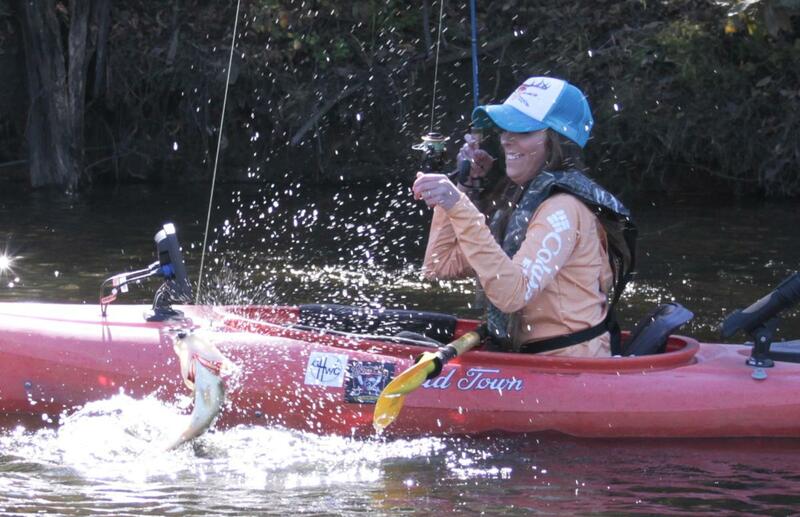 It’s a great time for fishing from a kayak since larger boats aren’t normally around. Even if the fishing is relatively slow, floating on quiet water, surrounded by trees ablaze in fall colors is always a success. The fish are fat, and the fillets thick, firm and sweet-tasting. A platter of crappie or catfish tacos at sunset, after a day of floating and casting in solitude, is a pretty great way to end one of the best fishing experiences in Kansas.